A.G.A. Campolin news - information regarding our company on the news section. 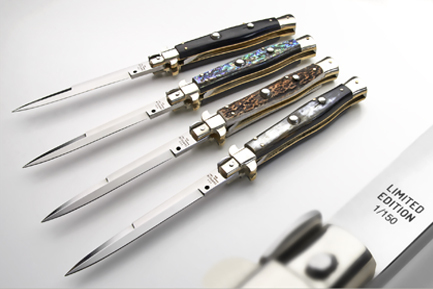 For the 70th we present a new line of Picklocks called "The Classic line", a new standard for the traditional stilettos. Sahara is fabricated on June 2017 for the 70th anniversary of the company. 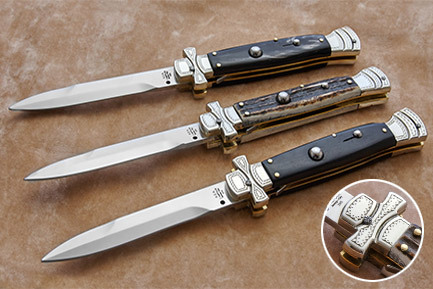 "Diana - New Damascus blade"
Russian damascus handmade by a blacksmith from Zlatoust. Very hard damascus reached 59 HRC of hardness. 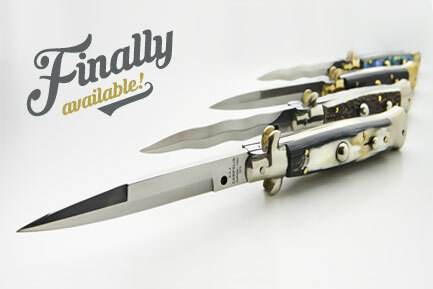 Flatguard Picklock is an italian stiletto exactly made like the knives from 40's-50's. 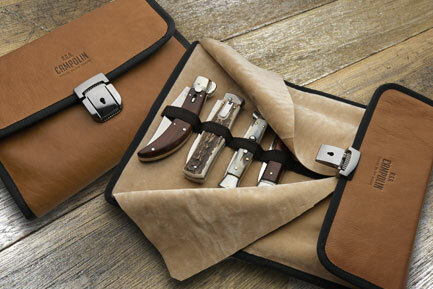 Leather bags to carry 7 or 14 knives. A.G.A. 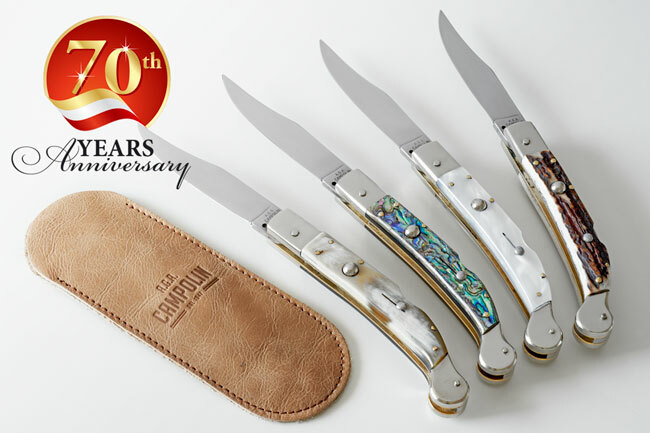 Campolin Picklock 25 cm - 10"
Enjoy the commercial made by 2 special collectors. 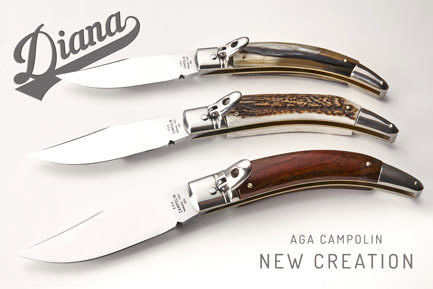 The AGA Campolin 13" swinguards are awesome solid handmade knives. 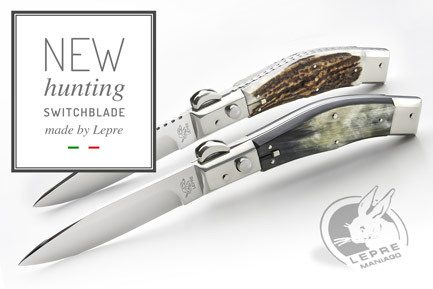 They are an exceptional sample of italian craftmanship. 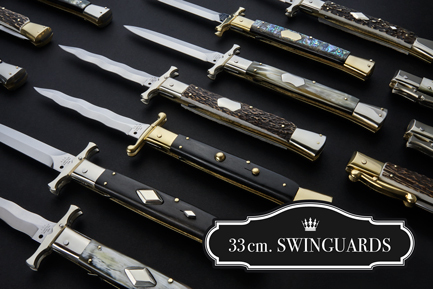 Sicilian 23 cm - 9" NOW available! This A.G.A. 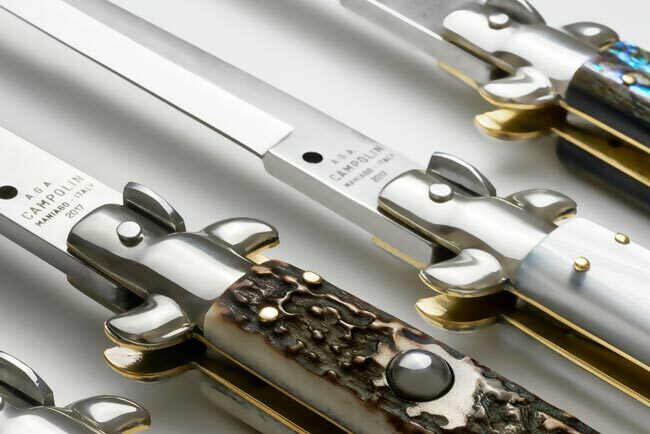 Campolin Sicilian knife has a stainless steel bayonet blade with a polished finish. 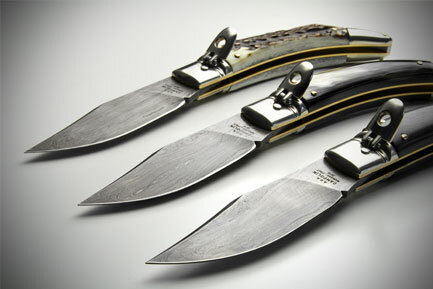 Very nice shape that remind the old fighting sicilian knives. 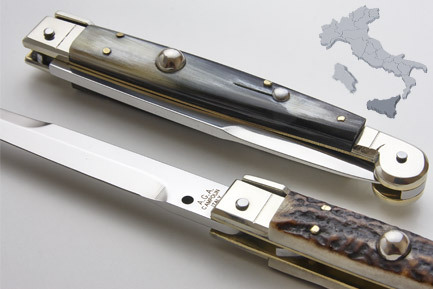 Maltese engraved by the hands of a master engraver, Hannes Graviz (www.glatz-gravuren.at). 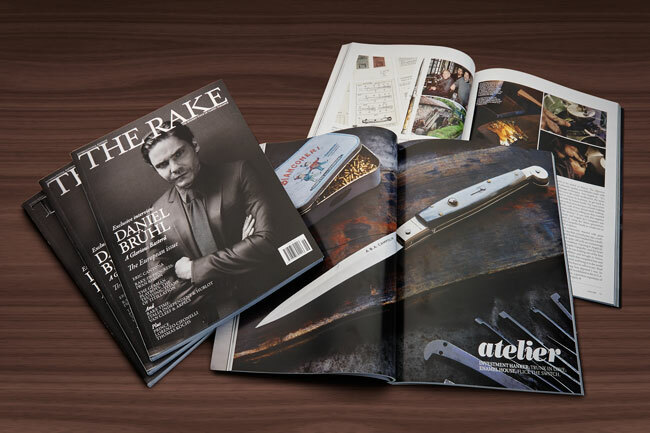 This give a touch of class to this beautiful knife. 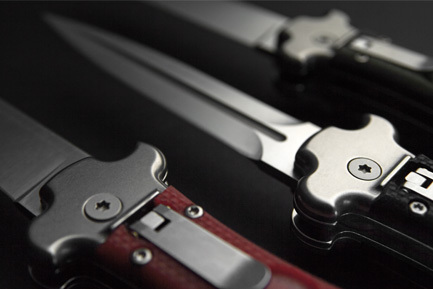 New creation: The lever lock “Diana”. 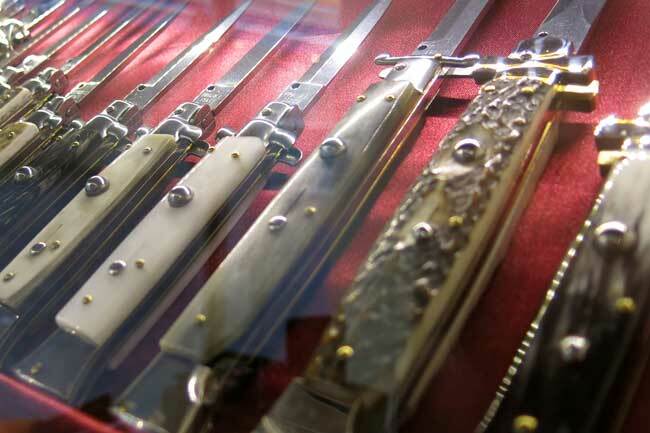 It has the shape of a slim Catalana and the german leverlock mechanism. 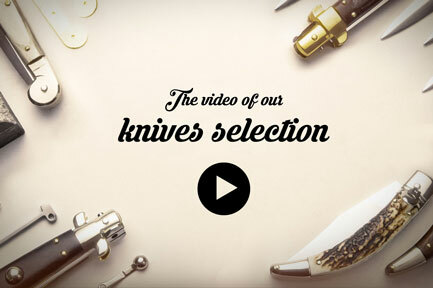 We are glad and proud to present our new website. 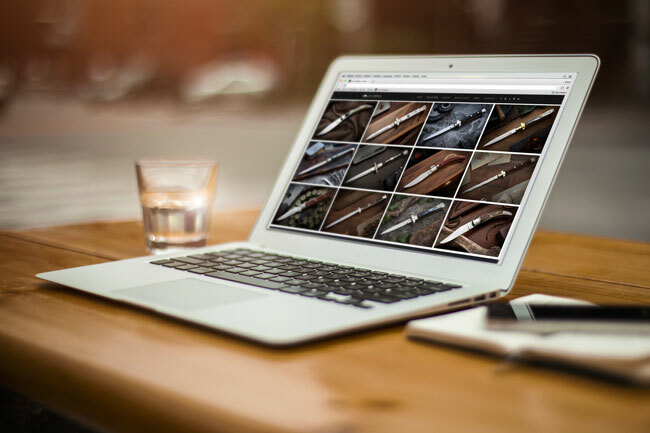 Our intention is offer a new service, uploading pics and give you information regarding our company on the news section.